Need a quote for some carpets cleaning? Just give us a call! If you're in need of high quality carpet cleaning for your home or office anywhere in the Birmingham area, you can rely on us. 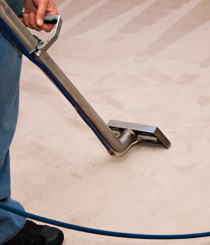 We are a reputable team of local carpet cleaners with many years of experience in bringing carpets back to like-new. We're trusted by all of our customers because our cleaning is second to none! If you are interested in any of the cleaning solutions offered by our Birmingham carpet cleaners, just give us a call and we can offer you a free, no obligation estimate. The number to dial is 0121 737 5580 and we'll be more than happy to assist with any queries that you may have in relation to our services. What are you waiting for? You won't be disappointed with our carpet cleaners! We understand that you may be concerned about the environment, but don't fret, because our carpet cleaners use only environmentally friendly cleaning products when they clean your carpets. We also ensure that all products are safe for use around your pets and any children in the home, as some cleaning products can be harmful. Put your trust in us today! Do your carpets need a clean? We have been making our customers happy for many years by producing stunning results with our carpet cleaning services. We offer a wide range of carpet cleaning and upholstery cleaning services across Birmingham. Click below to see the main areas of Birmingham that we work in.